Skye Gravestones | Bracadale Burial Ground. 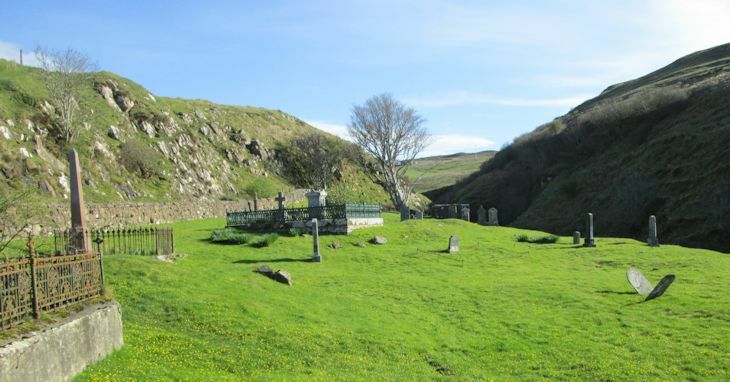 Bracadale burial ground is about 12 miles south of Dunvegan. It lies behind the Bracadale Free Presbyterian Church, near the road causeway, which crosses the head of Loch Beag. The Voaker Burn runs along its southern boundary. It lies behind the Bracadale Free Presbyterian Church, not the Free Church. Added by Hector Campbell on 29 August 2014.